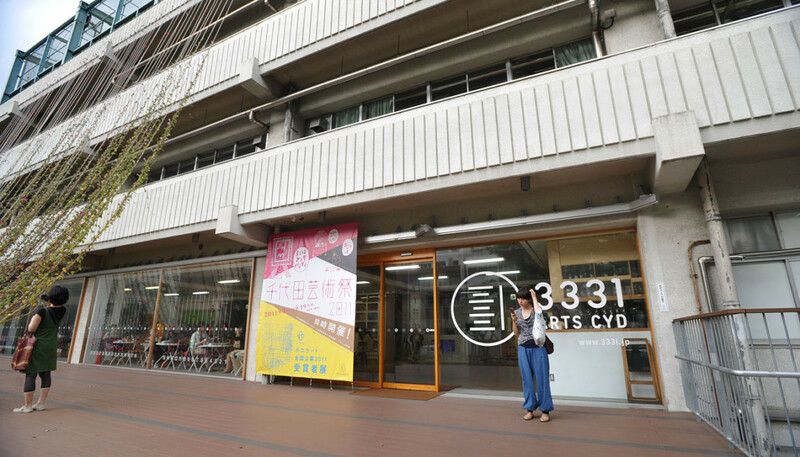 The “Open Residence” of 3331 Arts Chiyoda is a program for artists and creative practitioners from all over the globe. With a full range of facilities including accommodation, studio and gallery, creative practitioners have the exceptional opportunity to extend their artistic engagement in the heart of Tokyo. With the energy of the electronics and anime haven of Akihabara right at one’s doorstep and the traditional cultures of downtown but a stone’s throw away artists will be able to experience all aspects of this kaleidoscopic city from this convenient base.The unique feature of this residence is that it provides a space for artists to stay in the heart of Tokyo, research their creative projects, develop this into new work and then to finally present it while connecting to the extensive network of Tokyo’s art scene through the hub that is 3331. Akihabara, the icon of electronics, manga and anime, with Kanda Myoujin, the site of one of Japan’s most renowned festival’s “Kanda Matsuri”, close by, as well as the downtown area of Ueno and Asakusa within close reach, 3331 is set in an environment filled with atmosphere and human warmth. Not to mention the highly convenient public transport access which allows residents at 3331 to reach Shibuya, popular with many young people, and Shinjuku, the renowned enternainment district, by just one train line. With such a variety of different train and metro lines within walking distance, 3331 is the perfect base from which to explore Tokyo. 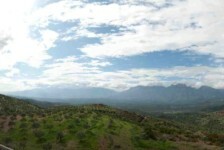 Artist in residencies (AIR) are “mechanisms for the movement of artists”. At 3331, with expectations that artists will become magnets linking to networks on a community level, an AIR program has been run with art production and stay for artists at its base. In bringing artists and organizations whose activities are pivoted within localities to the Kanda area of Chiyoda Ward for a temporary period, ways of seeing new things, and new forms of expression caused by new thought processes are found through the artists, and introduced to the community. 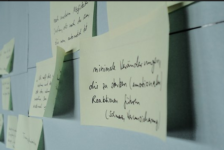 This has created opportunities for the community to encounter fresh perspectives and approaches to new things that had hereto never existed, or had yet to be undertaken. How will 3331 continue to embrace the myriad of “objects” and “actions” attracted by artists who act as powerful magnets within this program? In stimulating the spirit of those involved, the activities of 3331 become flexible and stronger. Upon returning to their own community at the end of their residence, and upon being released from their magnetic force, the “objects” and “actions” which clung to the artists and were carried back with them will fall softly on their soil. In this way, the “objects” and “actions” of a place will, through the movement of artists, no longer be “objects” or “actions” limited to one location. I believe it is the repetition of these multiple processes occurring in synchronization that will create a broad new world. • Applicants (individuals or organizations) must cover the costs of facilities, travel and living expenses, as well as production costs. 3331 does not provide grants or scholarships. • Japanese is not a requirement. However, a conversational level of English will help. • Artists with a keen interest in connecting with 3331 and networking with the local community (Tokyo’s Chiyoda City in particular) are preferred. We also seek applicants with clear project goals capable of working independently in new environments. Please download the application form here and send it by email to residence@3331.jp with other required materials by the application deadline. * Please do not send emails larger than 2MB.